After placing the order from CDW-G the order should get processed through our distributor which can take 1-5 days. Once they process the order, they will send out an email with instructions on how to download your product and licensed (for electronic copies) and/or send the Media if you chose to order it. 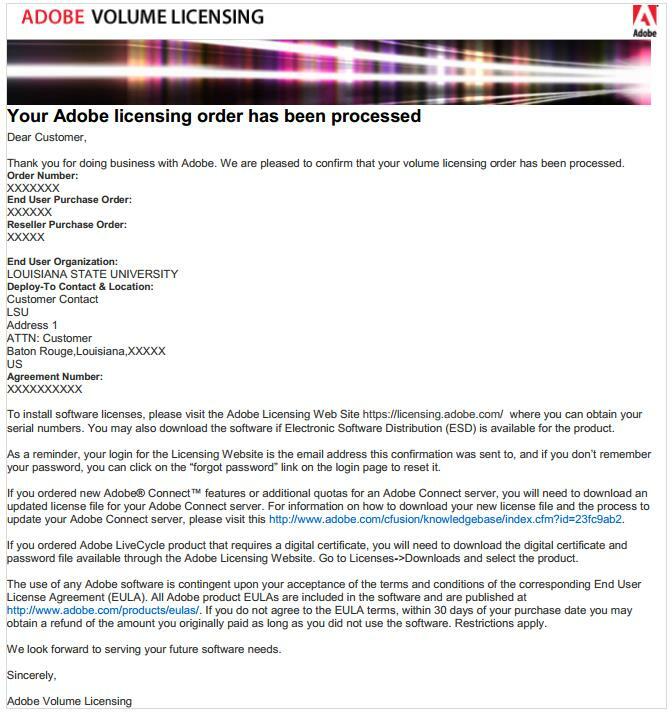 They will direct you to Adobe's Licensing Web Site where you will use the email address the order was placed under to log in to download your license and software. Use the password that you use on adobe.com -OR- Click on Forgot Password -OR- Create new Password. Filter the results by product name. Select the "account" or "accounts" you want to give them access to. Documentation Provided by CDW-G & Use of this Document has been Approved by CDW-G.